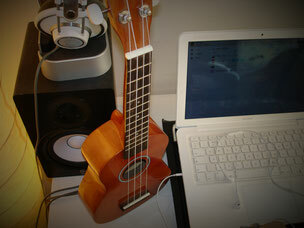 ...grab your 'uke' and let's get started! I started teaching ukulele (uke) a number of years ago after a teacher friend of mine told me stories about how the kids at his school were going crazy for this small guitar shaped instrument. 'Why aren't you teaching ukulele?' he asked. Why wasn't I teaching ukulele? Honestly, it never occurred to me! The ukulele just wasn't on my radar at that moment in time. But all that soon changed. I now have many uke students young and old. Their lessons are designed around their personal musical tastes ranging from modern rock and pop to classical, blues and jazz. Working together we choose music that helps them get closer to their musical goals. The Ukulele is the perfect first step when choosing to learn a musical instrument. 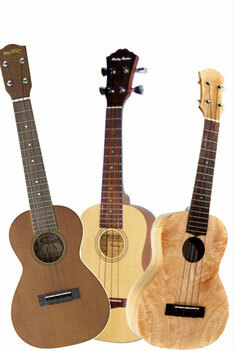 And best of all, the uke is a stepping stone to other instruments such as guitar, bass plus many more. Soon you'll be a multi-instrumentalist enjoying the music you love. So if you want to learn to play the Ukulele why not get in touch today? Tell me about your favourite songs and I will help you reach your musical goals. Grab your uke and let's get started! There are no limits to what you can play! Skype! ukulele lessons are a great way for you to fit your ukeED into your busy day. All from the comfort of your own home. No commuting! We have a Newsletter. Not 24hr breaking news just occasional interesting tidbits!